Traditional values coated in creativity is the way forward! Anyone who was at this year’s AEO Conference, held at The Vox, Birmingham on 7th and 8th September, will have a tale or two to tell this week. Experience is Everything was the topic that 216 of the event industry’s finest came to learn about, and the Conference, chaired by technology Journalist, Kate Russell, didn’t disappoint. 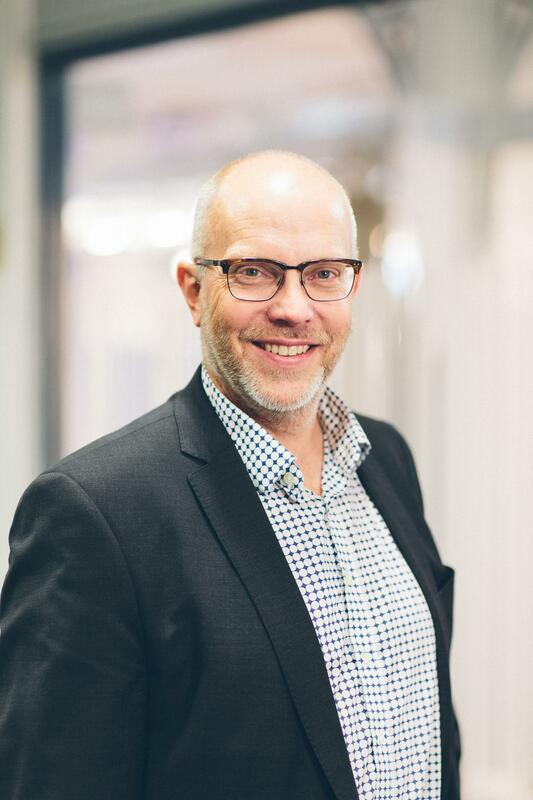 The AEO Council has elected Damion Angus, managing director of Montgomery, as AEO Chair, and Austen Hawkins, managing director of f2f events, as Vice Chair of the association. This year’s appointments were voted in at the AEO Council meeting ahead of the AGM on 6th September. 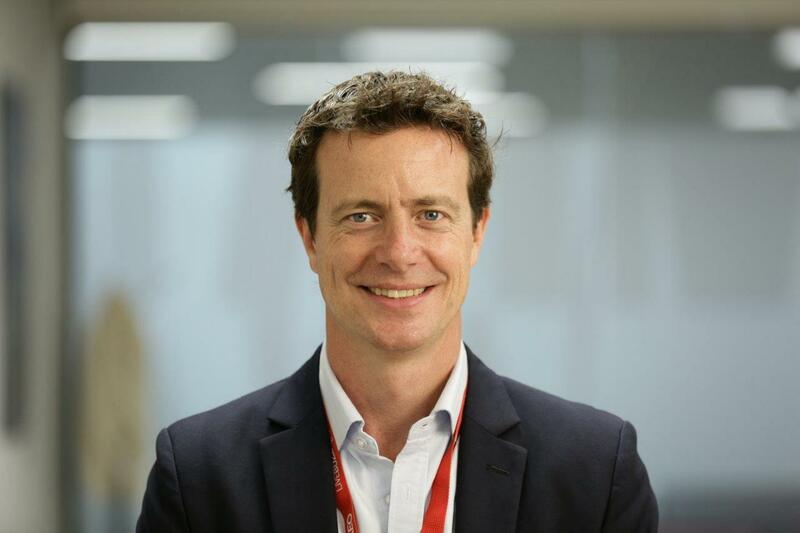 FaceTime, an AEO funded initiative, is launching the full findings of a year-long study to identify what makes event attendees different from the general population at the AEO Conference on 7th September at The Vox, Birmingham. The aim of the study is to understand the behaviour of visitors that attend events so that organisers and exhibitors can work together to attract more high value visitors to future shows. 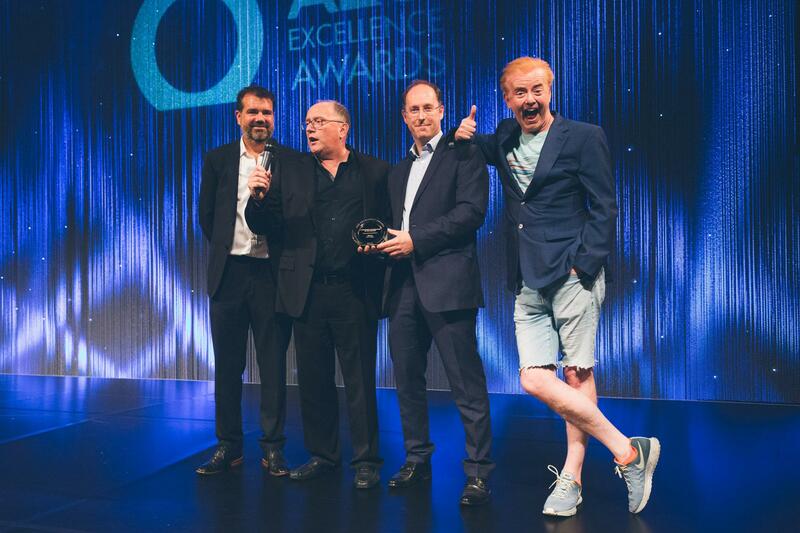 Good Evans, AEO Excellence Awards Throws in a Few Surprises! 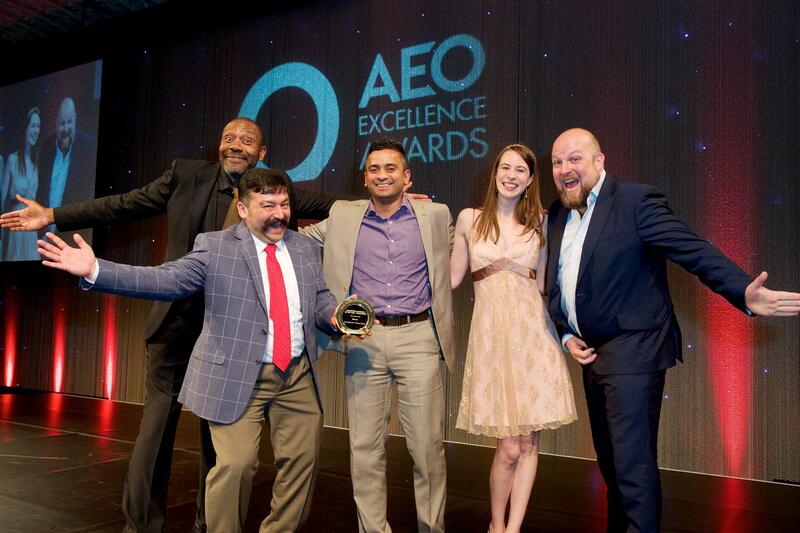 This year’s AEO Excellence Awards had something for everyone. Host, James Nesbitt wowed guests by entering the Great Ballroom at the Grosvenor House Hotel on Friday, whilst singing Come Fly With Me. A talent that was a surprise to many of the 1000+ event industry professionals present at the awards ceremony. AEO and Cvent have signed an annual strategic partnership agreement for 2017. 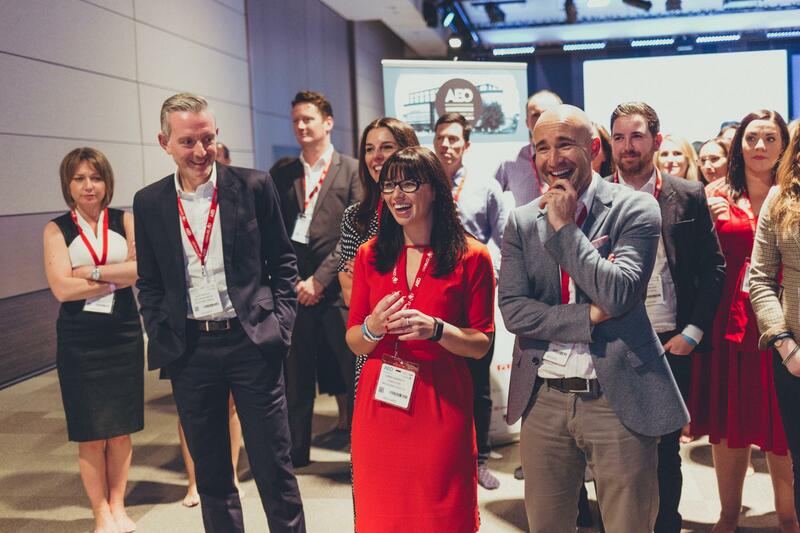 As a key representative of independent event organisers, AEO works with a number of partners each year that offer high quality services to the events industry. 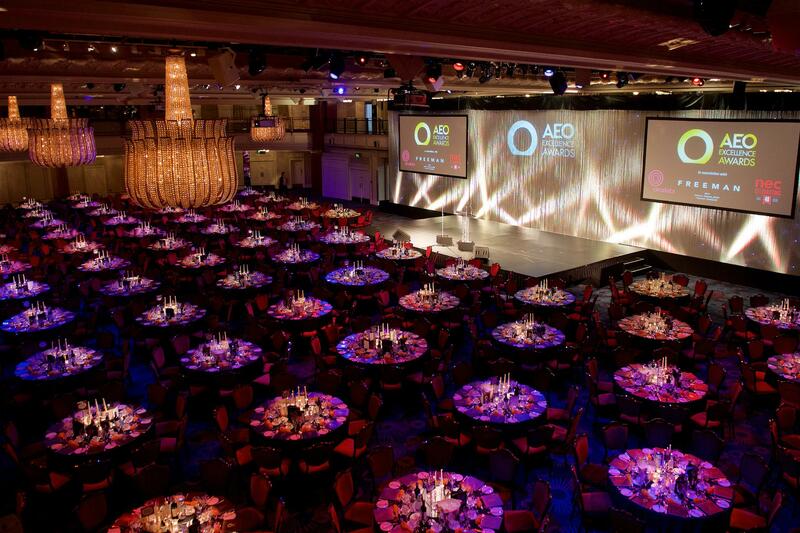 The AEO will be holding a post AEO Excellence Awards celebration evening for judges, sponsors and winners of the prestigious awards which are due to be held at The Grosvenor House Hotel on Friday 16th June. The celebration evening will be held in the Garden Room and Conservatory at the Barbican on Wednesday 5th July. The Association of Event Organisers (AEO) & The Society of Independent Show Organisers (SISO) have entered into a reciprocity agreement following a meeting between many of their world leading independent trade and consumer organiser members in Miami last month. The eagerly anticipated shortlist of finalists for this year’s AEO Excellence Awards has been announced. 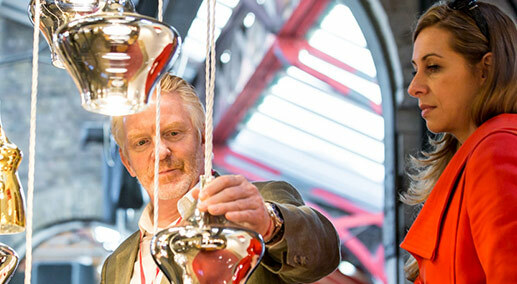 Once again, there is an eclectic mix of companies in the running from across the industry, covering event organisers, suppliers and venues. Aztec to Partner AEO on upcoming Exhibitor Masterclass events. Aztec Events has signed an agreement as AV provider for the Association of Event Organisers’ NEC, Birmingham and ExCeL London, Exhibitor Masterclass events in 2017. Scottish Event Campus Ltd. (SEC) has signed an annual agreement with AEO as official UK Venue Partner for 2017. The partnership includes branding opportunities and visibility at AEO signature events for the newly rebranded event campus. DB Schenker and AEO have signed an annual strategic partnership agreement for 2017. As a global representative of independent event organisers, AEO works with a number of partners each year that offer high quality services to the events industry. The National Rigging Advisory Group (NRAG), the pan industry body concerned with promoting rigging safety in events, has announced its endorsement of the cross-association campaign to raise awareness of the risks involved when working at height, and promote safe practice.